Laurence Leblanc, born in 1967 in Paris, started her artistic career at a young age, attending drawing and painting lessons at the Martenot school, and a course on engraving art at the Arts décoratifs du Louvre. Laureate in 2000 at the Villa Médicis Hors-Les-Murs for her Cambodian project, she was awarded with several prizes, including the Prix HSBC pour la Photographie in 2003. In the same year, she published Rithy, Chéa, Kim Sour et les autres, then Seul l’air (2009), both published by Actes Sud. Her work was exhibited at the 40ème Rencontres Internationales de la Photographie d’Arles. 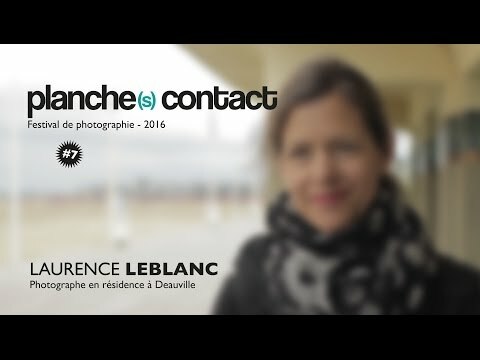 The photos of Laurence Leblanc are acquired by private collectors, the Fonds National d’Art Contemporain and the Nicéphore Niepce Museum. Laurence Leblanc was laureate of the Nicéphore Niepce Prize in 2016. Video (with the film titled Bulles de silence) and sound (with a workshop of radio creation broadcasted on France Culture) have also been some of her research fields for several years now.